Keep ambulance inventory well-stocked, prevent loss of valuable equipment, and automate the equipment check-in/out process with the Litum RTLS ambulance equipment inventory tracking solution. We can set up a real-time tracking system inside each ambulance in your fleet that monitors the presence and usage of the entire vehicle's inventory. Managers can monitor when equipment leaves the vehicle, when an ambulance needs restocking, and even track maintenance needs in the long-term. The RTLS equipment tracking system utilizes an in-vehicle control control unit, which is connected to the GSM cell phone network to send data to your computers and mobile devices. Our control unit picks up the signal sent from an active RFID tag affixed to each piece of valuable medical equipment. The status of every item in the ambulance is transmitted to your ambulance station to give you a down-to-the-second awareness of whether each asset is where it belongs. 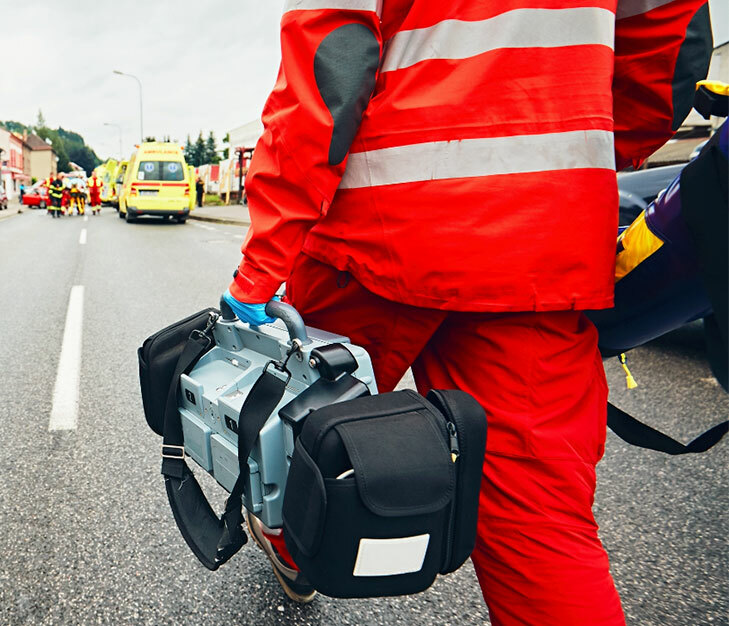 Our RTLS ambulance tracking system is perfect for independent and county ambulance services, hospitals with ambulances, and even, fire departments. Emergency medical services are called out to multiple locations each day to help those in need. During each call, EMTs may bring medical equipment out of the ambulance to treat patients before bringing them to the hospital. Given the hectic pace of an emergency rescue, it’s not uncommon for valuable equipment to be left behind. It may not be recoverable later, which incurs replacement costs and means that another patient may not get the care they need in an emergency. Litum Healthcare ambulance inventory management system is a live auditing tool for your entire ambulance fleet to help you improve efficiency and safety. Our system will continuously send RTLS data to and from each ambulance along the GSM network. Station managers can monitor when ambulances need restocking and order new supplies before their vehicles run out. In fact, the display map will highlight vehicles that aren't properly stocked, so staff can restock at the station or go back to retrieve equipment that was missed. The system also generates a staff list of those currently assigned to an ambulance for man-hour tracking and verification purposes. Allow us to set up an RTLS ambulance that seamlessly integrates with your call services system. Our easy to understand digital map display highlights the position and movement of each vehicle with an accuracy of just a few meters. 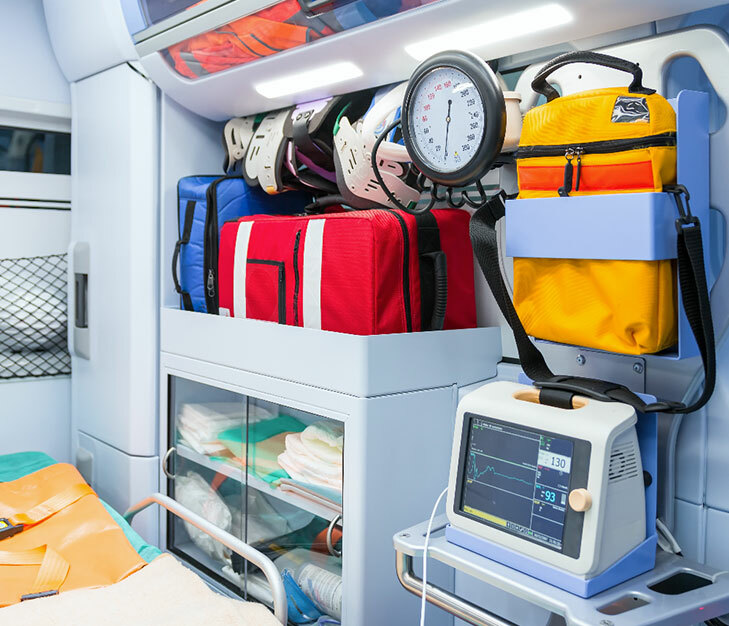 Litum RTLS ambulance tracking system is a turnkey solution integrating the in-vehicle control unit, RFID tags, and our tailored RTLS software. It provides constant awareness of inventory, staff, and vehicle location.